Looking out across the the water to what is known as the Deep End it is difficult to work out where some six years has gone for it is here young Tales got his first introduction to sea fishing. 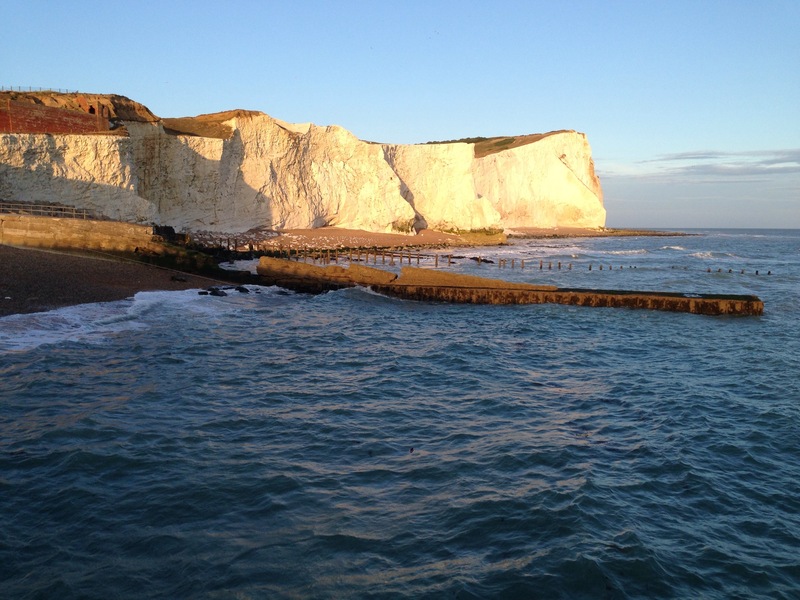 We return here to Seaford most years to fish from the beach for bass, flat fish and in the summer months smoothound. 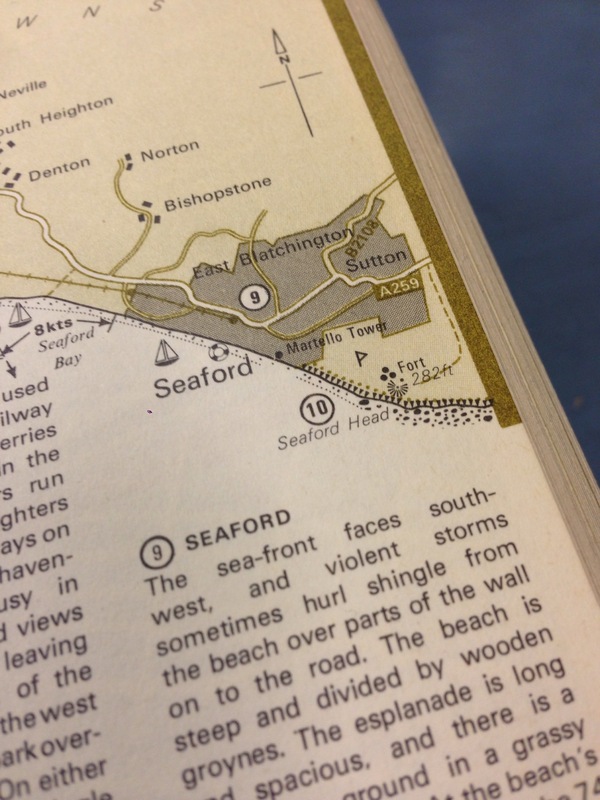 I have to say we have caught little from this renound Sussex beach, you can count on one hand our success however that is not a fair summary of the productiveness of this long shingle beach. Our day actually started by fishing the West arm of the Marina in Brighton but that soon came to an abrupt end when the waves started crashing over the concrete wall soaking us. Young Tales enthusiasm took a turn and he asked to drive over to Seaford. Upon arriving we saw several rods dotted along the beach, all close to known hot spots that fish well. 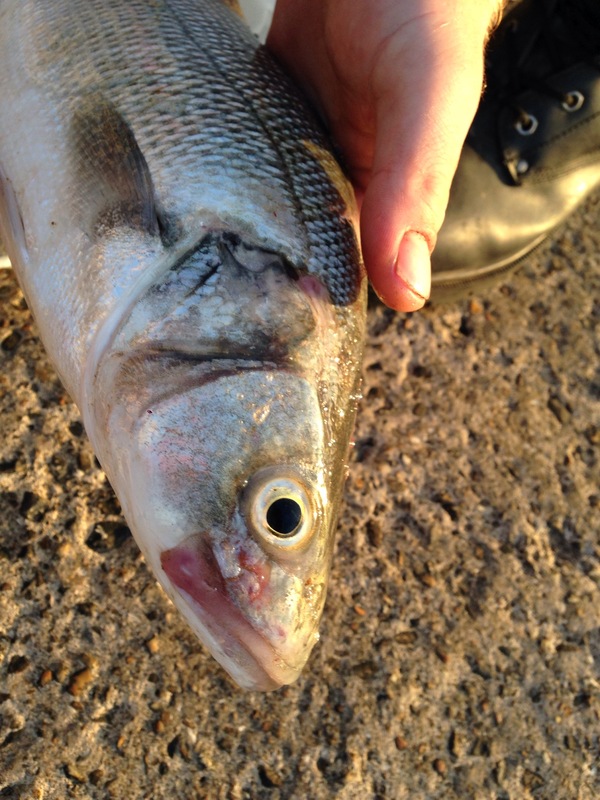 In fact most sea angling comps are held between The Buckle and Tide Mills so no prizes as for guessing why. We set up our rods just in front of the Martello Tower, here the sea is deep enough at high tide to get amongst feeding fish as the waves crash onto the beach. Unfortunately nothing was interested in our rag worm offering. We also fished Beach Comber Gully but I couldn’t get my rig out the the 80-100 yard mark for it to be productive. As the sun started to drop away we took up fishing a favourite mark but it can be a graveyard for terminal tackle and yesterday was no exception when we lost several rigs and weights to the submerged pipe that runs out to sea. On reflection it didn’t matter that we blanked, there were certainly fish there as a couple of guys had takes from bass, for us it was just a sheer delight to be able to spend time together hoping of catching that PB and recall the years spent fishing at this gem of a Sussex resort. 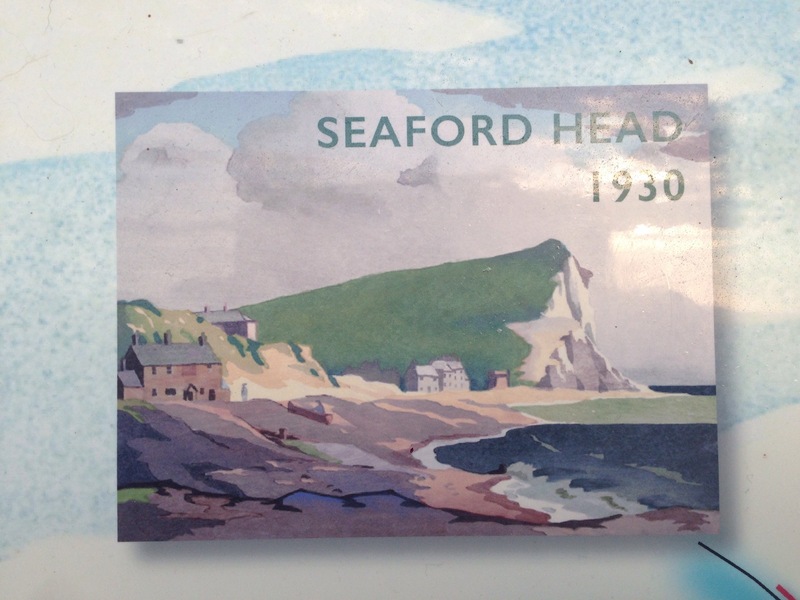 For here at Seaford is where it all began.